They know I'm a Walk of Fame-ophile.. I love it! Living legend Gina Lollobrigida, she of Beat the Devil (1953), Trapeze (1956) and Bueno Sera, Mrs. Campbell (1968), is 91 years old — but she hasn't slowed down. 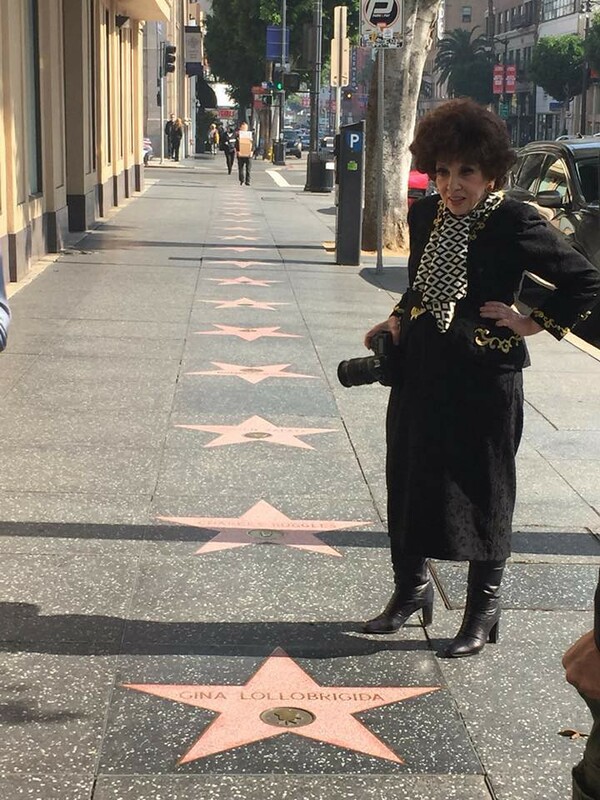 Photographer Brennan Tope noticed the Italian siren standing hand on hip, all in black, at her star on the Hollywood Walk of Fame in L.A. , surveying her name (she received her star only a year ago) and holding her camera! Sweet! And what a difference between her and my 92 yo Aunt suffering with a broken leg right now... GL looks active and happy-is the camera hers or is she just hanging on to it for the photog? I think that's Andrea Martin. Andrea when she was younger? I keep trying to imagine someone sitting down to write that.